Luxardo (officially Girolamo Luxardo S.p.A.) is an Italian brand of liqueur most famous for producing Maraschino, a liqueur made from the distillation of fermented maraschino cherries. Luxardo is one of the oldest liqueur producers in Europe and still remains a small family-owned business, owned and operated by the Luxardo family for nearly 200 years. 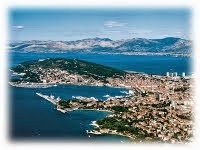 The Luxardo company was founded in Zara, a port city of Dalmatia, in 1821 by Girolamo Luxardo. 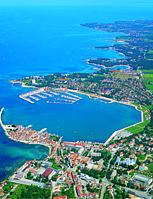 At this time Zara was a city of Italian language, culture and ethnic population, and had recently passed from the sovereignty of the Republic of Venice to the Austrian Empire. 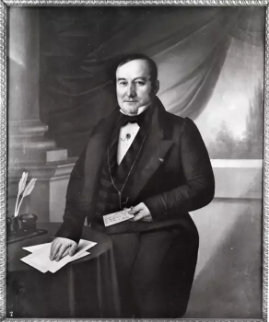 Girolamo Luxardo was an entrepreneur and diplomat, born in Santa Margherita Ligure, located near Genoa, on September 29, 1784. Serving as a consular representative of the King of Sardinia to Dalmatia, he moved to Zara with his family in 1817. 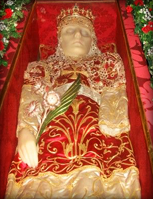 His wife Marchesa Maria Canevari was interested in perfecting a recipe for Maraschino, a unique type of cherry liqueur produced in Venetian Dalmatia since 1730 by Barolomeo Ferrari and Giuseppe Carceniga. Some allege it was produced as early as the 16th century by Catholic monks at the Dominican monastery of Zara, but this remains unproven. Maria personally produced her own Maraschino at home and it immediately attracted the attention of family, friends and connoisseurs. 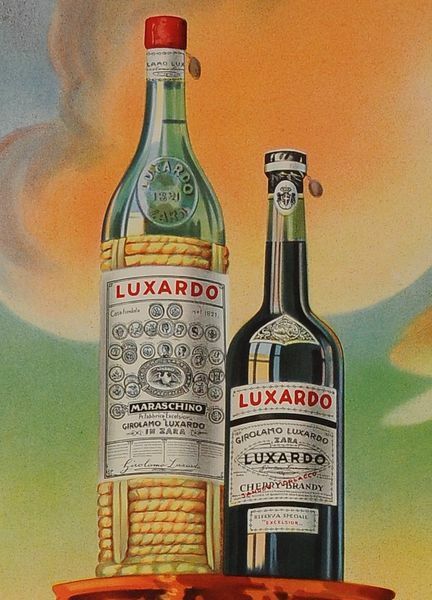 In 1821 Luxardo founded a distillery in Zara to produce Maraschino liqueur. After eight years of research to perfect the product, in 1829 he obtained a special privilege from the Emperor of Austria, the “Privilegiata Fabbrica Maraschino Excelsior”. This was a valuable and cherished recognition of the superior quality of Luxardo liqueur, and moreover it granted the Luxardo company exclusive rights to produce Maraschino for the next fifteen years. Luxardo would go on to become one of the most popular and prestigious brands of Maraschino liqueur, even rivaling the much older company of Drioli, founded in 1759 by the Istrian-Venetian merchant Francesco Drioli, who was the first to bottle and produce Maraschino on an industrial scale, thereby establishing the modern Maraschino industry of Zara. Already in 1864 Luxardo Maraschino was being exported and sold in the United States, and soon Luxardo would surpass Drioli in fame and popularity. Girolamo Luxardo died on September 8, 1865 at age 81, and his son Nicolò Luxardo I (1815-1882) took over the business. Taking the reins from his father Girolamo, Nicolò I played a vital role in the company by establishing relationships with prestigious markets all around the world. Luxardo's first advertisement posters were printed in 1874 and distributed throughout Germany and the Austro-Hungarian Empire. This was not only a first for Luxardo, but also the first recorded advertising campaign for a liqueur in history. 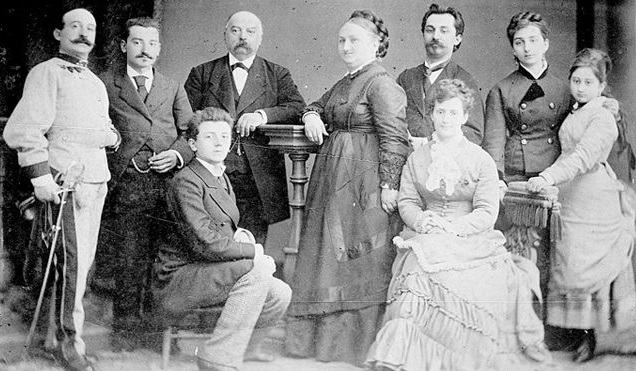 Luxardo was inherited by Demetrio Luxardo I (1852-1906) and Michelangelo Luxardo (1857-1934). Demetrio I was the first master distiller. He invented new products and refined Luxardo's Maraschino recipe. Thanks to the third Luxardo generation, a new prosperous era began for the company. Luxardo Maraschino won a gold medal at the 1904 World's Fair in St. Louis, the first ever bestowed upon a European company. The prestige and acclaim of Luxardo during this time period can be measured by the fact that Luxardo Maraschino was served aboard the RMS Titanic during its fateful voyage in 1912. In 1913, Michelangelo built the most modern and largest distillery in the Austro-Hungarian Empire, called Casa Luxardo. This building was an imposing structure on the harbour edge, which housed not only the new distillery, but also the offices and the private apartments of the Luxardo family. The building survived World War I, but was ultimately destroyed in World War II. Some setbacks occurred for Luxardo during World War I. The loss of the Russian market, caused by the Bolshevik Revolution of 1917, led to a sharp decline in sales. In addition, the requisition of machinery and metal materials by the Austrian government in 1916-1918 significantly impoverished the Luxardo factory of its vital equipment. 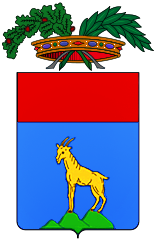 The Luxardo's were known to be Italian patriots. Their signature design was inspired by the Italian tricolour: a green bottle with a red cap and a white label written in Italian. 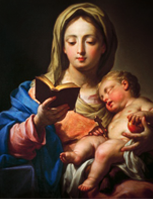 All of Michelangelo's sons were sent to study at universities in Italy. 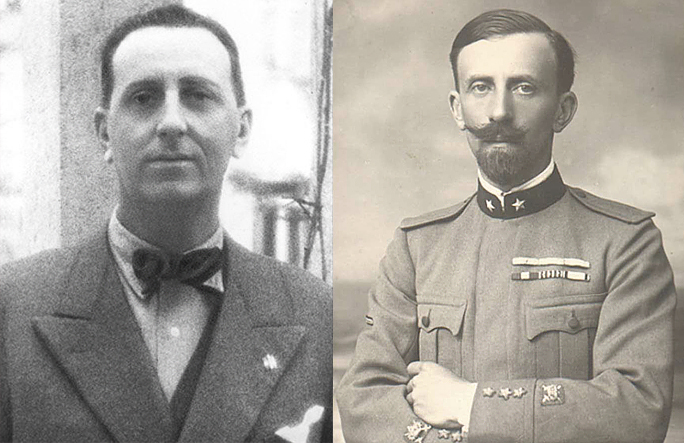 Nicolò Luxardo II (1886-1944), Michelangelo's eldest son and future heir, risked being executed for treason by joining the Italian Army in World War I, where he earned two Silver Medals of Military Valour as a cavalry officer. 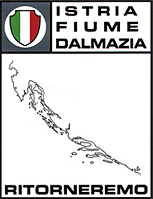 In this period, the Luxardo family proudly supported the unification of Dalmatia with the Kingdom of Italy. Sangue Morlacco (‘Morlach Blood’) became Luxardo's second specialty after Maraschino. Originally called Cherry Brandy, it was renamed by the Italian warrior-poet Gabriele D'Annunzio in 1919, during the Fiume Expedition, when a group of Italian legionaries occupied the city of Fiume and established the short-lived Italian Regency of Carnaro. 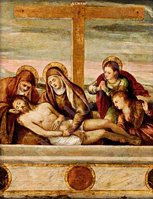 One of these legionaries was Pietro Luxardo (1892-1944), Michelangelo's second son. 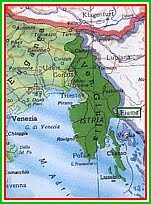 The Morlachs were a Latin people of the Dalmatian hinterland who defended the borders of the Republic of Venice against the Turks in the 17th and 18th centuries. Due to the liqueur's dark red colour, resembling the blood shed by the Morlachs under the banner of Venice, D'Annunzio nicknamed it Sangue Morlacco. The name was officially adopted by Luxardo and has continued to be used ever since. In 1922 the company was taken over by the fourth generation, Michelangelo's four sons: Nicolò II, Demetrio II, Pietro and Giorgio. Under the guidance of the fourth generation, Luxardo's position significantly improved. 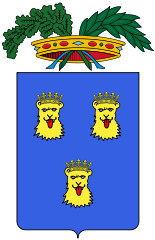 In 1940 Demetrio II died, leaving his three brothers as the heirs. The city of Zara had been reunited with the Kingdom of Italy since 1918, and Luxardo once again began to flourish. By the 1930's Luxardo became the largest and most important distillery in Italy. In 1936 Luxardo was responsible for 66% of Zara's liqueur exports. The company reached its peak in this period, with more than 250 employees and an industrial area covering 12,000 square meters. However, the beginning of World War II severely hampered industrial activity. 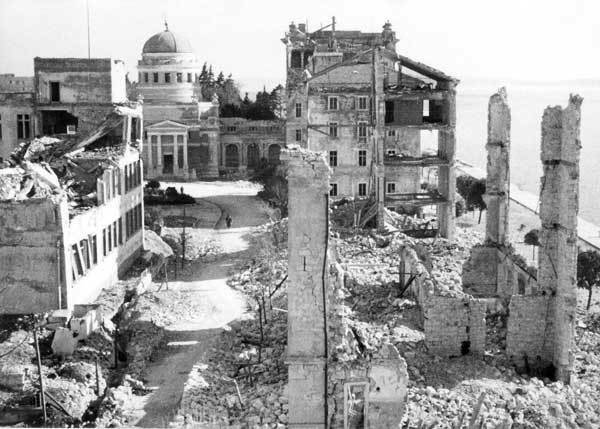 During the course of the war, Allied bombing destroyed about 80% of Zara's buildings. After indiscriminate and repeated Anglo-American bombings in 1943-1944, the Luxardo distillery was almost completely destroyed, as was nearly the entire city of Zara. A four-day fire burned several buildings and resulted in the loss of many materials, including 230,000 kg of sugar, 48,000 liters of alcohol and over one million bottles. Armed with the surviving tools and a desire to reestablish his family's legacy, Giorgio chose the small town of Torreglia to rebuild the distillery in 1946. At this new home, Luxardo restored its extensive product line of Italian liqueurs and continued to export the products to markets around the world. In 1944, before the end of World War II, the Yugoslavs illegally seized all of Luxardo's assets and nationalized them. Assets which were confiscated from all the historic liqueur factories of Zara (Luxardo, Drioli and Romano Vlahov), including all usable equipment and machinery, were unified into a single enterprise in 1946 by the new Yugoslav Communist occupational government. Although Zara was still formally under Italian sovereignty until 1947, the Yugoslavs were already sequestering private property and goods. The old Luxardo distillery, reduced to almost total ruin by Allied bombs, was rebuilt in the same location and designed to look identical to the original building. By 1946 the Yugoslavs were producing and selling their own version of Maraschino, attempting to pass it off as the same one made by Luxardo. Maraschino was a trademark owned by the Luxardo family, and they were determined to take legal action against this Yugoslav impersonation. 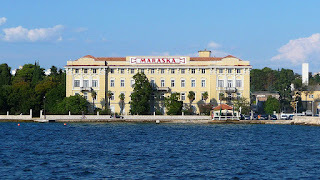 After numerous legal battles, the Yugoslav company in 1949 was forced to change its name from Maraschino to Maraska, a Croatian moniker based on the original Italian name. Other lawsuits against Maraska continued until the 1960's. In the end the Luxardo family was victorious, winning every court case in Italy, Switzerland, Germany and the United States; in each proceeding all decisions were won by Luxardo. 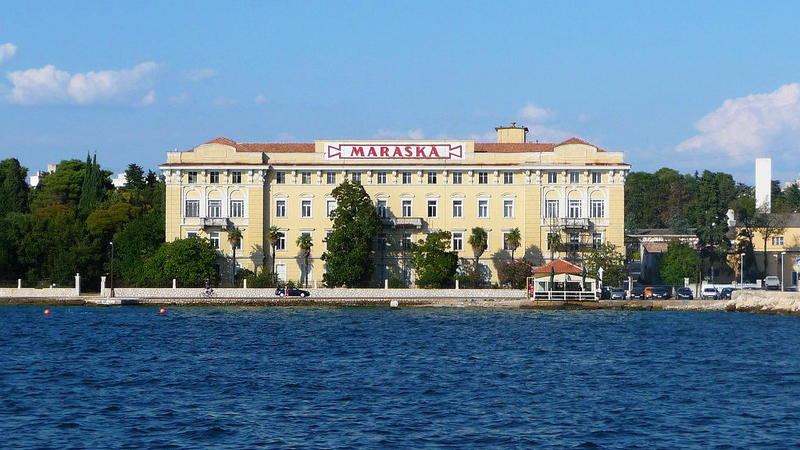 The landmark Luxardo distillery – ruined, seized and restored after the war by the Yugoslavs, and subsequently transformed into the Maraska factory – was recently purchased by a private Turkish bank, the Dogus Group, and will soon become a Hyatt Regency hotel. The Maraska company sold the property and moved to a different location in 2006. Compensation has still never been offered to Luxardo by Maraska, nor by the Dogus Group. 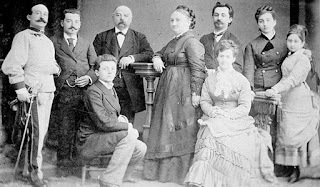 Until recently, Luxardo was operated by Franco Luxardo of the family's fifth generation, along with members of the sixth generation. Today, the company is headed by the sixth generation: Piero Luxardo Franchi, Guido Luxardo, Giorgio Luxardo II, Matteo Luxardo and Filippo Luxardo. The seventh generation is also just now starting and is represented by Nicolò Luxardo IV and Gaia Luxardo, the first female family member to join the company. To date Luxardo's internationally renown Maraschino has won more than 56 gold medals in liqueur contests around the world. In 2011 alone, seven of Luxardo's liqueurs were awarded twelve bronze, silver and gold medals in international competitions. The company also produces a variety of other classic Italian liqueurs, including Sambuca, Amaretto, Grappa, Limoncello, Sangue Morlacco and Passione Nera. Besides its famous liqueurs, a second line of Luxardo products now includes a gourmet division with liqueur concentrates, fruit syrups, Maraschino cherries and jams. Luxardo products are currently exported to every continent and to more than 78 countries around the world. The main export countries of Luxardo products are the United Kingdom, the United States, Canada, Japan and continental Europe.